In his research, Mohit Saraf primarily focuses on ground-up design and fabrication of nanostructured materials based on electrodes functioning as supercapacitor that store energy. Supercapacitor devices store energy more efficiently and long-lasting and also have the potential to replace traditional capacitors and batteries. Many types of present-day batteries contain toxic materials as an electrolyte or electrode, such as mercury, lead and cadmium. For this reason, Mohit targets materials and electrodes that are free of environmentally harmful metals. He is working on inculcating paradigm shifts in low-cost and simple designs of nanomaterials that can be used as electrodes in supercapacitor applications as well as for highly sensitive detection of environmentally and biologically significant molecules. The developed supercapacitor electrodes can deliver very high specific capacitance with a long lifetime and ensure safe handling for the user. By combining low-cost synthesis without using advanced instrumentation and laboratory test condition analysis, Mohit achieved results which are comparable with contemporary research based on complicated synthesis. Additionally, his research work focuses on low-temperature synthesis of nanomaterials, aiming to make the process easily accessible for quick scale up whilst also maintaining the characteristics which are required for excellent performance of both energy storage and sensing devices. The progress made towards energy storage in the form of supercapacitors is particularly promising for the idea of sustainable energy and storage of energy from renewable sources. 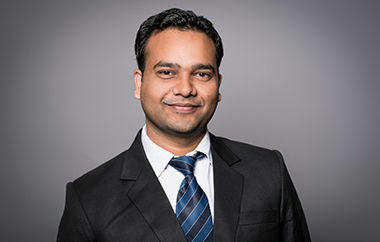 While pursuing this line of research, Mohit used a combination of physics, chemistry and materials science to engineer the nanomaterials on a structural level, consequently providing the best possible performance for each application. The professional long-term goal of Mohit is to work towards building sustainable energy storage platforms and to develop alternative renewable energy sources such as solar power, thereby contributing to overall human development. The jury recognised significant value in Mohit’s long-term aim and acknowledged the competitive results of his study. They were also impressed by his orientation on low cost and sustainable development of supercapacitor electrodes. 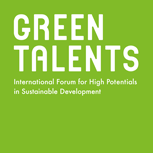 The exchange with international experts and building of professional networks with Green Talents will help him attain his long-term goals.